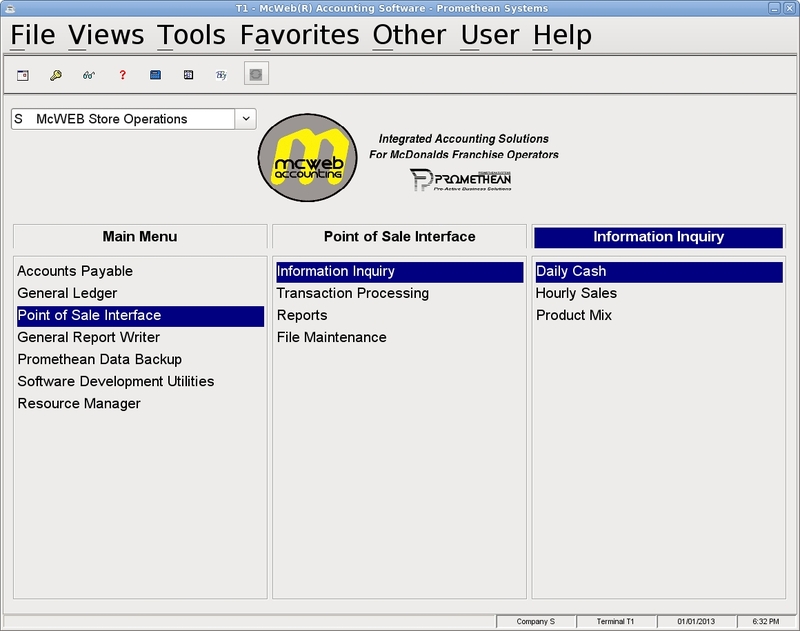 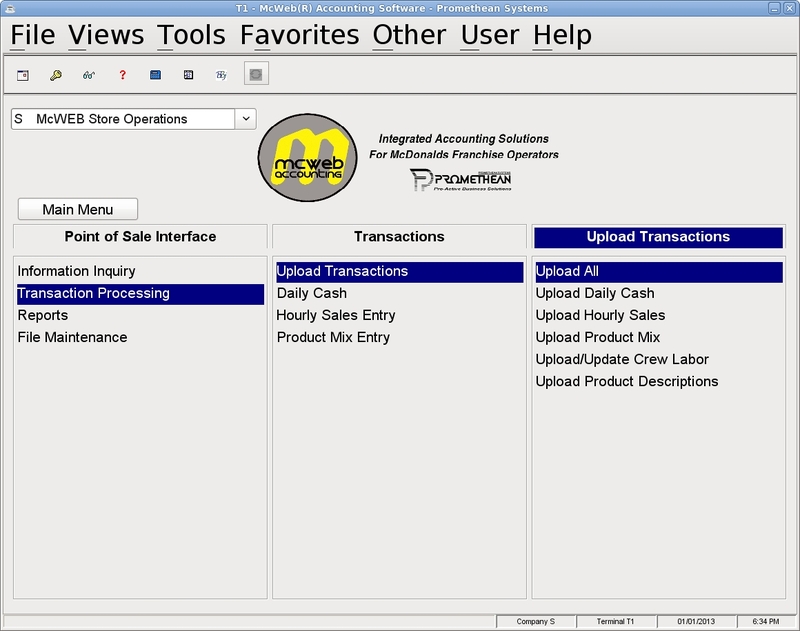 The McWEB Point of Sale Module tracks ALL Store Activity through a direct integration with the In Store Processors (ISP) via Promethean’s Store Polling Software. 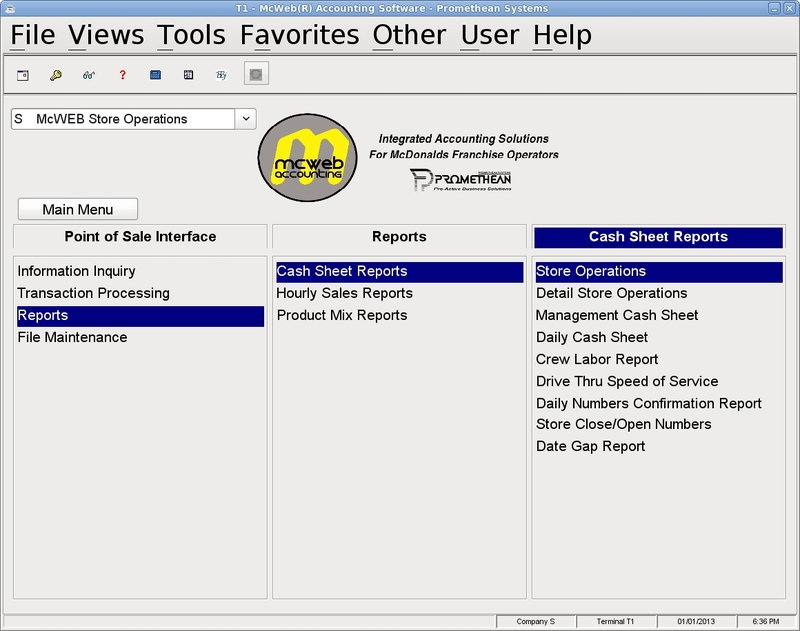 Store data is collected on a daily basis, and there is no limit to the number of YEARS of store operations data that can be maintained. 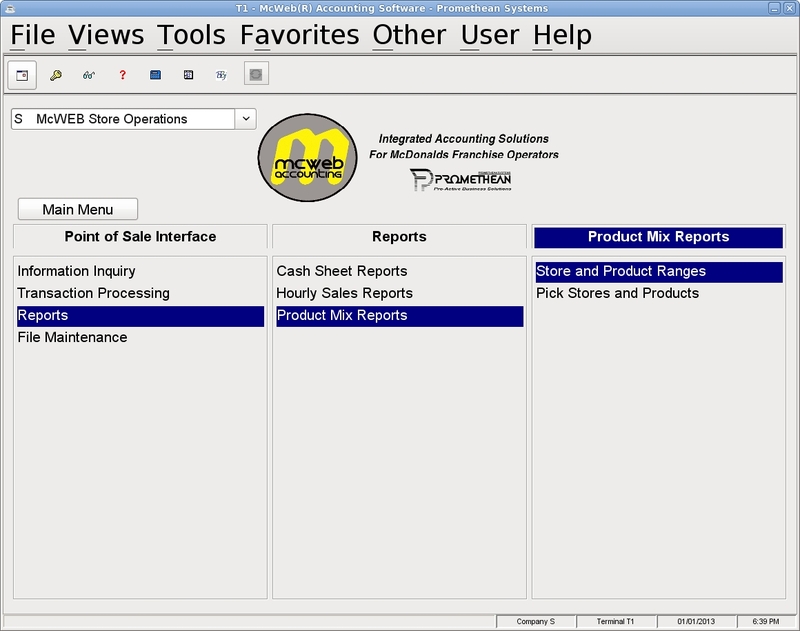 The Point of Sale Module has three major data area: Store Cash, Product Mix, and Hourly Sales. 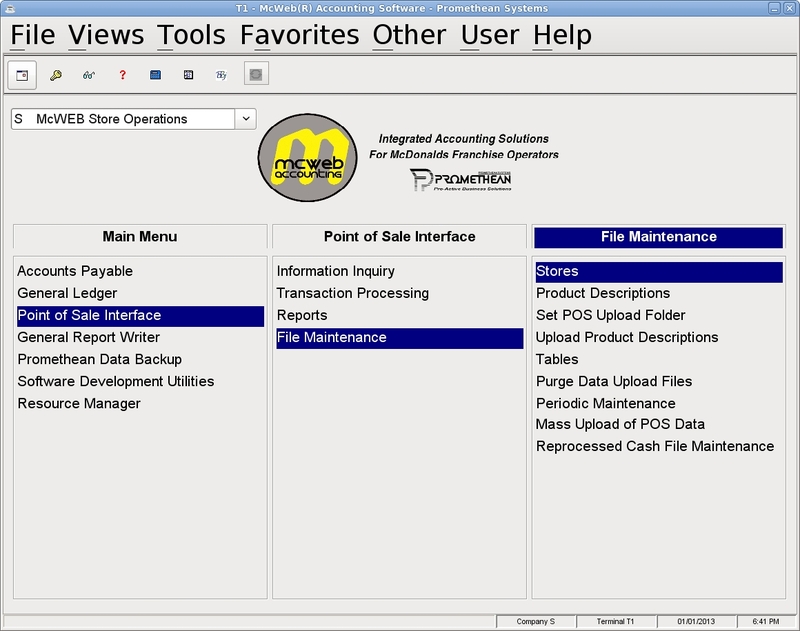 All data is easily maintained and updated, and there are a great number of operations reports created from that data. 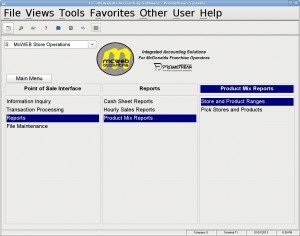 All reports are very flexible, with selection by ranges of stores, dates, products, and crew. The abiliy to have years of data makes reporting even stronger as certain reports include period comparisons, and those periods can be days, weeks, months, quarters, or years.